Professor David Gushee, Graves Professor of Moral Philosophy at Union University in Jackson, Tennessee, called for a national halt to executions because the death penalty as a public policy "fails the most basic standards of justice." 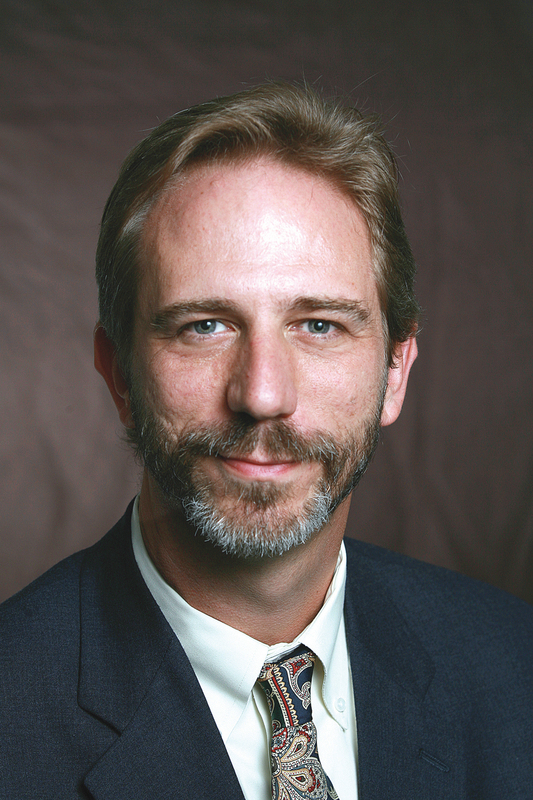 Prof. Gushee, writing for the Associated Baptist Press, stated that the recent moratorium in Tennessee surrounding lethal injection problems should be extended to review the entire application of the death penalty, and that other states should take similar action. In a move that received very little attention, Gov. Phil Bredesen recently suspended all executions in Tennessee until May, pending a full review of what he called our “sloppy” execution procedures. The governor is to be commended for this brave and wise decision. But I suggest that he take this opportunity to review not just the execution procedures, but the entire application of the death penalty in this state. That will take far longer than a few months. We need a death penalty moratorium—not just in Tennessee but in all states. When the Supreme Court ruled in 1976 that states could resume executions, they mandated that any state doing so must apply this ultimate penalty in a fair and consistent, rather than arbitrary and capricious, manner. No one can honestly look at the current application of the death penalty in Tennessee and believe that we have met that test. Then there’s the way that race affects the use of the death penalty. It is really no coincidence that public-opinion polling finds far less support for capital punishment among blacks than among whites. National studies repeatedly find both race-of-perpetrator and race-of-victim bias in death-penalty sentencing. In Tennessee and most states, racial/ethnic minorities are vastly over-represented on death row, and a full quarter of African-Americans on Tennessee’s death row were sentenced by all-white juries. Besides race, social class is another distorting factor in the use of the death penalty. If you don’t have money for an attorney, your goose is cooked. In Tennessee, nearly every one of the 102 people on death row could not afford an attorney at trial. With all due respect to our public defenders, if my life were on the line I would want the best private attorney that money could buy. But that is not an option for almost anyone who faces this situation in our state—with predictable results. We have to be careful and systematic in our thinking here. It is not logical to respond to this evidence by affirming one’s visceral support for the principle of life-for-life. Fine, for argument’s sake, let’s grant that for a moment. Would not such a passion for justice also require the fair application of this penalty? Would we not also want to assure such basics as the actual guilt of the people we are executing, the class-blind and color-blind application of this penalty and the opportunity for adequate legal representation? Would we also want to be sure that the people we are executing are morally responsible for their actions, rather than clinically insane, as are a number of our death row inmates? Nationally, the application of the death penalty is about as rational and orderly as who wins the lottery. Thousands of people murder and are murdered each year. A small number of (mainly southern) states execute the great majority of those convicted of murder. Evidentiary requirements vary. Which particular types of murder are eligible for capital sentencing vary. Appeals processes vary. Quality of legal representation varies. In the end, a small percentage of convicted murderers get the death penalty, and an even smaller group is actually executed. And more and more, across the country, DNA evidence is showing up to exonerate a significant minority of those executed. How many innocent executed persons is too many? It would take another column to review the biblical arguments, which in the South are a profound factor in support for the death penalty. Even if we were to take the Old Testament alone as our guide, it requires the eyewitness testimony of two or three witnesses (Deut. 17:6), a stricter standard than our own. It also requires that the justice system “not show partiality” (Deut. 16:19) and therefore that every accused person be treated similarly. And this is not even to consider the profound issues raised by the New Testament’s focus on mercy. As of now, at least, the death penalty is a public policy that fails the most basic standards of justice. It is time for a moratorium and a comprehensive review. (Associated Baptist Press, February 8, 2007). In a letter issued prior to Easter, the Catholic Bishops in Missouri called for an end to executions in the U.S. and urged parishioners to "build a culture of life." The letter noted that violence "is not a solution to society's problems," and it summarized church teachings regarding capital punishment and highlighted a campaign by U.S. Catholic Bishops to end the use of the death penalty. "(Christ) was unjustly sentenced to death and executed on a cross, the cruelest form of capital punishment at the time. . . . [R]ecent court interventions have focused attention on the inhumaneness of executions. As Catholics who believe in the sacredness of life, the use of state-authorized killing in our names diminishes us all," the Bishops wrote. In the letter, the Bishops urged Catholics to contact their elected officials to advocate for a halt to executions. (St. Louis Review, April 7, 2006). Read the Bishop's Letter on the Death Penalty. 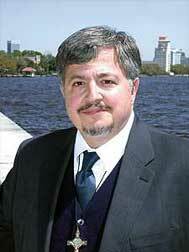 In Florida, Catholic Lay Chaplain Dale Recinella (pictured), who serves as a spiritual advisor to those on death row, has initiated a new Web resource at http://www.iwasinprison.org. Dale and his wife, Susan, a clinical psychologist and Catholic lay minister to the families of the executed, use the site to post weekly articles about capital punishment and about their experiences ministering to those facing execution and their families. See the Web Site. Therefore, we urge all United Methodists in their churches to practice transformative love, to comfort the victims of crime, to humanize those convicted of crime, and to advocate for an end to the death penalty in our criminal justice system. (General Board of Church and Society Statement on the 50th Anniversary of the United Methodist Church's Opposition to the Death Penalty, April 23, 2006). Simply put, we cannot support the death penalty. Some religious traditions believe that capital punishment is simply wrong. Others of us believe that either it is not needed in a modern society or it cannot be applied justly. 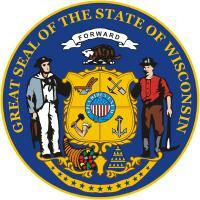 We are deeply concerned about the possibility that the death penalty might be restored in Wisconsin. As religious leaders, we know that our congregations and clergy see the tremendous pain that the injustice of violence causes in our society. We know that the grief and hurt can seem unbearable for families who have lost someone to violence. We are all sickened by the violent behavior that plagues our society, and we mourn with all who have suffered violence or lost someone to violence. All of us in society are vulnerable to feelings of revenge and retribution when we are angered. We cannot let such feelings, often very personal feelings, dictate public policy. While we recognize that there is a difference of opinion between thoughtful, faithful people on this topic, we simply do not believe that a death penalty is necessary nor will it prevent violent crime. We also believe that policy making around issues as significant as the death penalty, even when a proposed referendum is only advisory, should be very deliberate and thorough. Surely our state legislators have their own views on capital punishment. We are also all aware of numerous public opinion polls that reveal general support for the death penalty (although this support declines when life without parole is an option, as it is in Wisconsin). We then must ask why our state Legislature felt it was necessary to place this referendum on the November ballot. If, as people of faith, we believe that each person is created by God, we cannot sanction an unjust and unfair system of punishment that involves the calculated and deliberate killing of a person who would otherwise be incarcerated and removed from society, no matter how offensive and heinous his or her crime. We specifically question whether the death penalty can be administered justly since, as human beings, we are incapable of creating any system or structure that is perfect. We urge people of faith to give serious consideration to this important topic. In recent years, we have seen our state face very serious social issues. We have also seen a trend toward a less compassionate approach to vexing issues such as poverty and violence. It is our hope and prayer that this state can find ways to address violence without resorting to the use of violence ourselves. (Milwaukee Journal Sentinel, Oct. 15, 2006). As Connecticut prepares to carry out its first execution in over 40 years, Catholic Archbishop Henry J. Mansell of Hartford called on local parishes to sign a Church petition that calls for an end to capital punishment. "The death penalty offers the tragic illusion that we can defend life only by taking life," Mansell wrote in a letter that will be read during Masses on January 8 and 9. Other bishops in Connecticut are taking similar actions prior to the scheduled execution of Michael Ross on January 26. The U.S. Conference of Catholic Bishops has called for a complete rejection of the death penalty, in accordance with Catholic teaching to uphold the human dignity of all persons. Archbishop Mansell is part of a broad spectrum of religious leaders and groups seeking to halt executions in the state. Many of these leaders will hold a press conference publicly calling for the abolition of the death penalty on January 12 on the state Capitol steps. (Hartford Courant, January 6, 2005). Retribution is proper in society; revenge is not. All people are capable of atonement and forgiveness. The death penalty is not a deterrent to violent crimes. The death penalty is not, and probably cannot be, applied equitably and fairly. The death penalty is not the source of healing for the families of murdered victims. . . The Texas Baptist Christian Life Commission has joined the call for a moratorium on the death penalty. Declaring the state's capital punishment system "broken" and "unfair," the organization issued a capital punishment report examining the death penalty from biblical, historical and social justice perspectives. The report, which includes concerns about racial and socio-economic bias in how the death penalty is applied in Texas, concludes: "In the final analysis, biblical teaching does not support capital punishment as it is practiced in contemporary society." Moreover, the report stated, "The practice of capital punishment in our nation and state is an affront to biblical justice, both in terms of its impact on the marginalized in society and in terms of simple fairness." (Business Wire, January 13, 2002) For more information about the report, contact Becky Bridges or Kenneth Camp at the Baptist General Convention of Texas Communications Center (214-828-5229). Rev. Carroll Pickett, who served as chaplain on Texas' death row in Huntsville for 20 years, recently stated that the death penalty is akin to legalized murder. During a talk at Texas A&M University, Pickett said that capital punishment degrades society and caters to the lowest human impulse. He also pointed out that the death penalty system lacks equity, noting that someone who is wealthy, has an education, and is the right race will not be put to death. (The Battalion of Texas A&M University, November 5, 2002). "[W]e join with those who are working to end the death penalty - in their witness at prisons as people are executed, in state capitals across our land, in courtrooms and prisons around the nation, and in Congress, where efforts to abolish or limit the death penalty are being debated. We support calls for a moratorium on executions and welcome the courage of leaders who have implemented or are working to address the clear failings of the death penalty." - Responsibility, Rehabilitation, and Restoration: A Catholic Perspective on Crime and Criminal Justice, United States Catholic Conference, November, 2000. Read the entire statement. Cardinal Urges California Governor to Impose a Moratorium on Executions. Cardinal Roger Mahony, the Roman Catholic archbishop of Los Angeles, has urged California Gov. Gray Davis to impose a moratorium on executions and to conduct a "comprehensive and objective study" of the state's "fatally flawed" death penalty system. In a letter to Davis, who is Catholic, Cardinal Mahony stated, "I believe that an objective study will provide substantial factual data to support moral and ethical questions raised by the Catholic bishops of California and the United States regarding the death penalty." 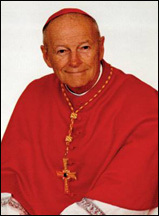 Citing the moratorium in Illinois and the New Hampshire Legislature's vote to abolish the death penalty, Cardinal Mahony wrote that "California has no less an obligation to conduct a thorough assessment of its system in order to identify the inequities, weaknesses, and biases of the process used to try those charged with capital crimes and administer the death penalty." (New York Times, 5/27/00) California has the largest feath row in the nation, with 568 inmates as of April 1, 2000. Pope John Paul II, speaking in Missouri, called for an end to the death penalty: "I renew the appeal I made most recently at Christmas for a consensus to end the death penalty, which is both cruel and unnecessary." His appeal was directed at the U.S., where over 500 people have been executed since 1976. "A sign of hope is the increasing recognition that the dignity of human life must never be taken away, even in the case of someone who has done great evil," he told a gathering of 100,000 people in St. Louis. (Reuters, 1/27/99). (For other Catholic statements on capital punishment, see National Conference of Catholic Bishops) Despite the Pope's pleas, the Oklahoma executed the first 16-year-old offender in 40 years.